Nigel Farage has disowned his campaign’s pledge to spend £350 million of European Union money on the NHS after Brexit. Speaking just an hour after the Leave vote was confirmed, the UKIP leader was asked on ITV’s Good Morning Britain whether he could guarantee that the money pledged towards the NHS during the campaign would now be spent on it. 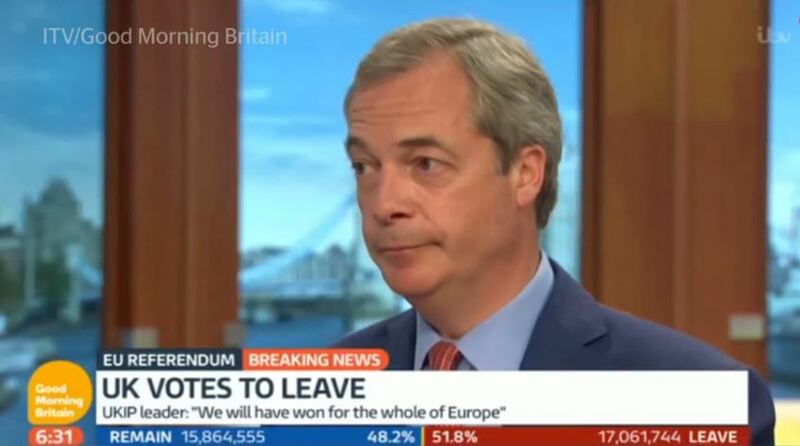 Farage said he never made any such pledge. Apparently, it was all a lie. The promise was central to the official Vote Leave campaign and was even emblazoned on the side of the bus which drove Boris Johnson and Michael Gove around the country, the Telegraph reports. No I can’t [guarantee it], and I would never have made that claim. That was one of the mistakes that I think the Leave campaign made. When it was pointed out that the Vote Leave campaign decorated the side of a tour bus with the £350 million claim and drove it around the country, Mr Farage said they ‘made a mistake’. It wasn’t one of my adverts – I can assure you! I think they made a mistake in doing that. We have a £10 billion, £34 million a day featherbed, that is going to be free money that we can spend on the NHS, on schools, on whatever it is. 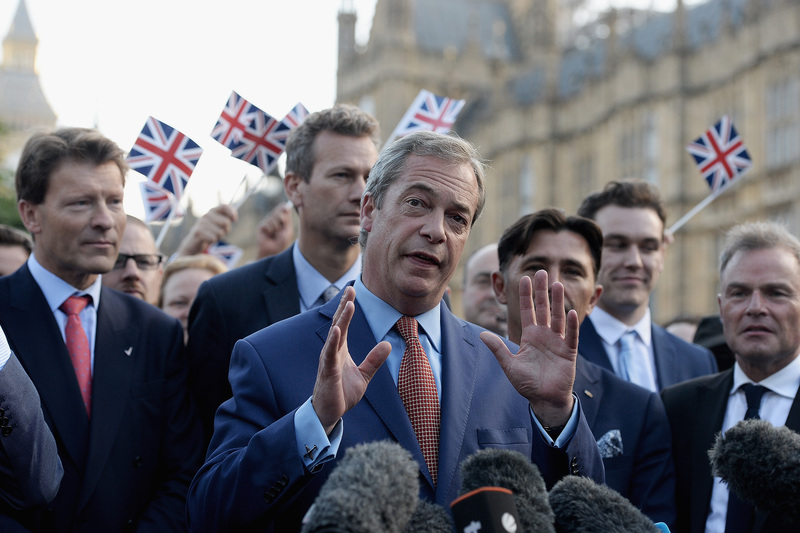 Farage has insisted, though, that he has been more closely associated with the Leave EU campaign than Vote Leave, which was the official Brexit campaign. Either way, making a claim your campaign’s central propaganda and then taking that promise away as soon as you win has been branded – quite unanimously by the public – as dishonestly sneaky.